Calming entryway. Gift bags (via satsuki). A tiny closet cubby (via lisa). And sweet Valentine stamp packs. That entry is really pretty! And so is your site redesign...i guess it's been a while since I've clicked over from reader. Have a wonderful weekend Alli! those gift bags just stole my heart. Love the stamps... and, hey! They're Canadian! How adorable are the gift bags! Love your little round ups and those cat bags are just darling. Hope you are having a nice weekend! Really like the colors used in the entryway. I agree, very calming. 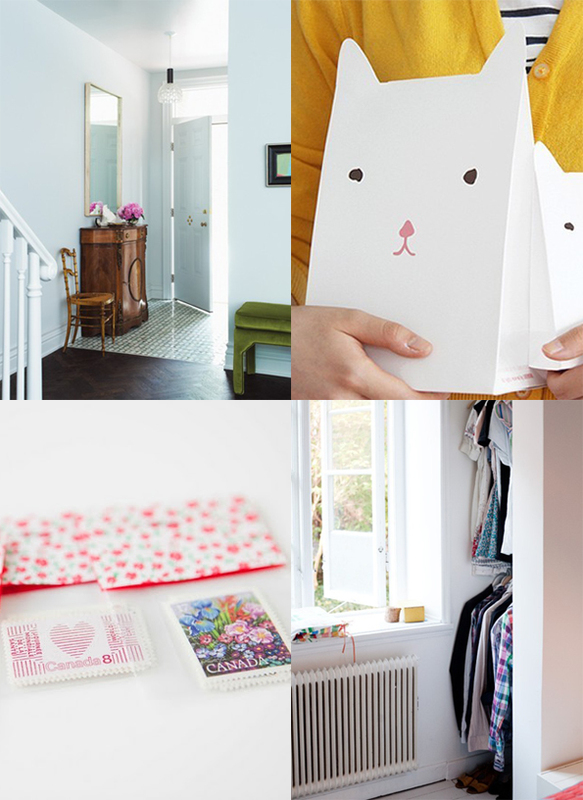 Thanks for including my stamp packs in your Favourites!